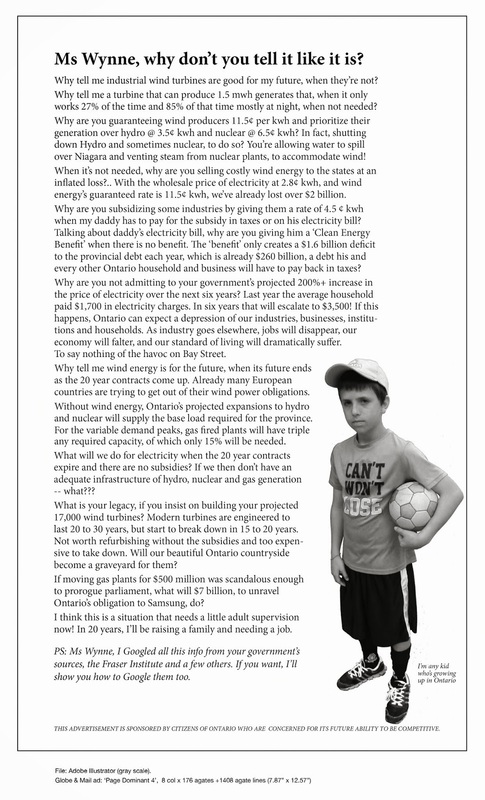 Ontario’s wind farm approval process faces constitutional challenge | Mothers Against Wind Turbines Inc. Governments love windmills, people who live near them hate them. The result is a beautiful recipe for lawyers. Mr. Falconer is one of the country’s top constitutional and human rights lawyers. He represented the Smith family in a lawsuit into the death of Ashley Smith in custody. He worked on the Ipperwash Inquiry. He represented Maher Arar in a suit against the federal government over his rendition and torture in Syria. The list goes on. Point is, Mr. Falconer takes a special interest in holding government to account. On Monday he’ll be taking on windmills. He wants Ontario’s Divisional Court to overturn the regulatory approvals of three projects, the St. Columban Wind and K2 Wind Energy project in Huron County, and the SP Armow Wind project near Kincardine, Ont. His clients, who live near the projects, fear the noise and vibration of the wind turbines will trigger a host of serious health problems. Mr. Falconer will argue in court that Ontario’s process for approving wind farms violates the Charter of Rights and Freedoms. Provincial legislation says anyone challenging a wind farm project before Ontario’s Environmental Review Tribunal must prove “serious harm” to human health. Mr. Falconer says that threshold is unfair because it is too high. “The effects of wind turbines are felt in the most private and personal areas of residents’ lives, in their homes and beds, where the state has its lowest interest in intrusion,” Mr. Falconer submits in his written argument. The Charter argument is a fairly new wrinkle in the fight against wind farms. But litigation itself isn’t. When the Divisional Court rules on the appeal, its decision will join the more than 30 Canadian reported court cases that have dealt with wind turbines — a number that shoots to nearly 100 when you include hearings before Canadian regulatory tribunals.